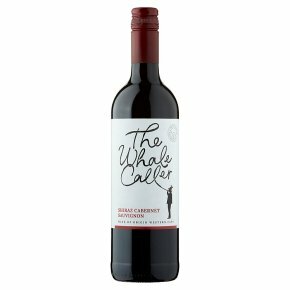 This juicy blend of Shiraz and Cabernet Sauvignon shows ripe blackberry fruit flavours and a touch of spice on the finish. This is an exclusive blend put together by our buyer and has become one of our most popular wines. Soft enough to be enjoyed on its own, this also works well with rich casseroles or roast dinners. Wine of Western Cape, South Africa. Shiraz Cabernet Sauvignon - Red South African Wine Wine of South Africa As you savour this rich red wine, with dark berry fruit and hints of chocolate and spice, you may just catch the strains of the Whale Caller's horn, blowing on the southern wind. Great on its own or with pizza, pasta or red meat dishes.